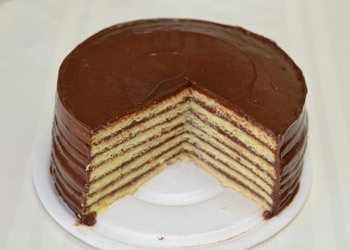 Our Cakes | Dean's Cake House – Home of the famous seven layer cake. View our famous cakes below. What is your favorite cake? Chocolate, caramel, coconut? No matter what your taste buds crave, chances are we have a cake or pie for you. 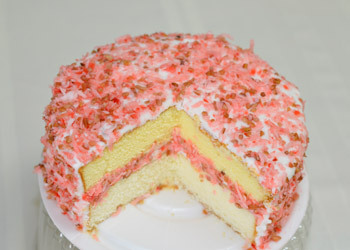 Here you’ll see our famous cakes, but we have so much more…cookies, pies, cakes, and more. They can be found at our own bakery, or you can purchase them at your local store. 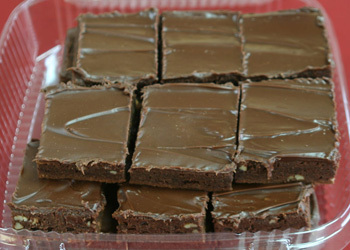 Seven fresh baked layers covered with a rich, creamy chocolate icing. 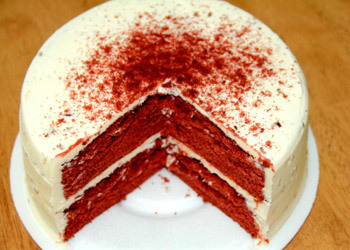 Two velvety smooth layers with a cream cheese icing that is loaded with pecans. 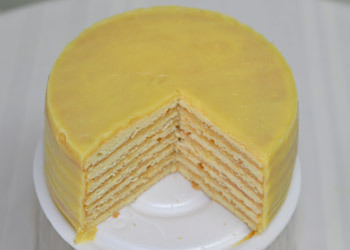 Seven fresh baked layers covered with a delicious lemon icing. 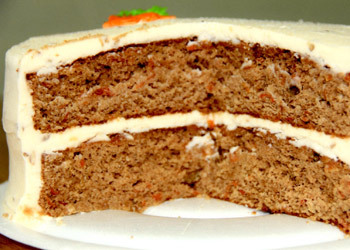 Two rich carrot and nutty layers covered with a cream cheese icing. 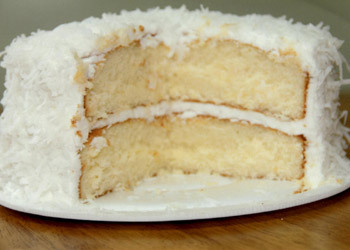 Two thick, moist white layers covered with fluffy white icing and coconut. 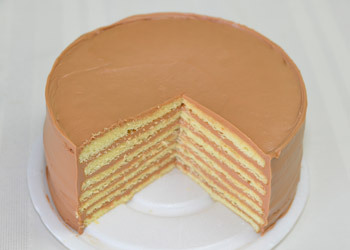 Seven fresh baked layers covered with a delicious caramel icing. 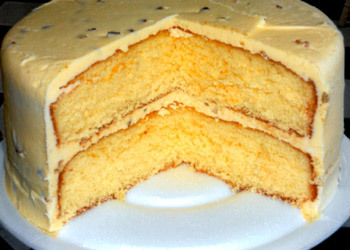 Two thick yellow layers covered with a butternut icing full of pecans. 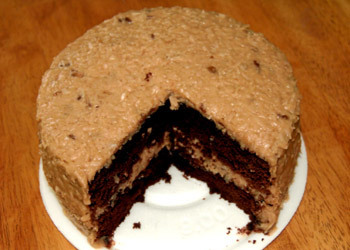 Two thick, rich chocolate layers covered with coconut and pecan filled icing. Two Italian cream flavored layers with a creamy pecan filled icing. 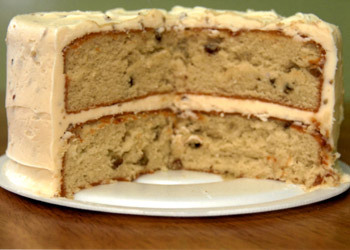 Two rich white layers covered with fluffy icing full of coconuts, cherries, and pecans.